Back in December 2017, Microsoft and Qualcomm announced a partnership to pair Windows 10 and Snapdragon Arm processors for ultra-thin LTE-connected netbooks with a 20+ hour battery life. This Windows-on-Arm initiative has faced several stumbling blocks, with the the first-generation HP Envy x2 and Asus NovaGo criticized for poor performance and app compatibility in Windows 10, due in large part to an inline x86 emulator for apps written for Windows on Intel or AMD processors. Now, a group of programmers and device hackers are working to bring proper support for Ubuntu to Arm-powered Windows laptops, starting with first-generation Snapdragon 835 systems, like the HP Envy x2 and Asus NovaGo. The aarch64-laptops project on GitHub provides prebuilt images for the aforementioned notebook PCs, as well as the Lenovo Miix 630. Submitted by Roy Schestowitz on Tuesday 12th of February 2019 03:02:17 AM. We've been looking forward to the possibility of having a nice 64-bit ARM Linux laptop with decent power and nice build quality. Several major vendors having been rolling out Windows ARM laptops powered by Qualcomm chips and the like with decent specs and quality, unlike some of the cheap ARM Linux laptop efforts we've seen. For those Windows ARM laptops, headway is being made in being able to run Linux on them. 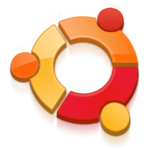 A Phoronix reader pointed out the aarch64-laptops on GitHub effort that is spinning Ubuntu Linux images that work on some of the more prominent Windows ARM laptops. Prebuilt images are currently available for the ASUS NovaGo TP370QL, HP Envy x2, and Lenovo Mixx 630. Submitted by Roy Schestowitz on Tuesday 12th of February 2019 03:59:10 AM. The first Windows 10 laptops and tablets with ARM processors shipped in 2018… to mixed reviews. The Asus NovaGo, HP Envy x2, and Lenovo Miix 630 are relatively thin and light devices with long battery life and support for 4G LTE. But they’re also relatively sluggish computers... especially when Windows has emulate x86 architecture to run software that wasn’t designed for ARM chips. But that’s Windows. What if you want to run a different operating system on these computers? Up until recently there hasn’t been a good way to do that. But now the folks behind the AArch64 Laptops open source project on github have come up with a way to install Ubuntu 18.04 LTS on some of the first Windows 10 on ARM laptops. Submitted by Roy Schestowitz on Tuesday 12th of February 2019 04:35:38 PM. Back in December 2017, Microsoft launched Windows 10 On ARM — a new operating system designed to run Windows 10 on laptops powered by Qualcomm’s Snapdragon chips. While the computers designed for this version of Windows have failed to make an impact on the market, they’ve surely attracted the attention of the open source community. Just recently, I came across a project named aarch64-laptops on GitHub. 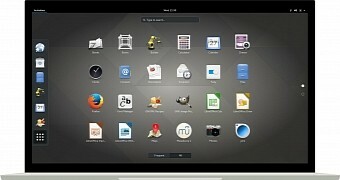 It’s a result of the desire of some Linux enthusiasts to bring distros like Ubuntu to ARM-running laptops. Currently, the Ubuntu 18.04 LTS images are available for Asus NovaGo TP370QL, HP Envy x2, and Lenovo Mixx 630. Submitted by Roy Schestowitz on Monday 18th of February 2019 04:22:40 AM. A team of open sorcerers are trying to get Linux on Qualcomm-powered laptops from HP, Asus, and Lenovo. According to Tech Republic the idea could make for a higher performing experience than Windows 10. Microsoft and Qualcomm announced a partnership to pair Windows 10 and Snapdragon ARM processors for ultra-thin LTE-connected netbooks with a 20+ hour battery life. This Windows-on-Arm initiative has faced several stumbling blocks, with the the first-generation HP Envy x2 and Asus NovaGo slammed for poor performance and app compatibility in Windows 10.